We understand when you go to the internet and search for “24/7 electricians near me” you are likely seeking an emergency electrician. 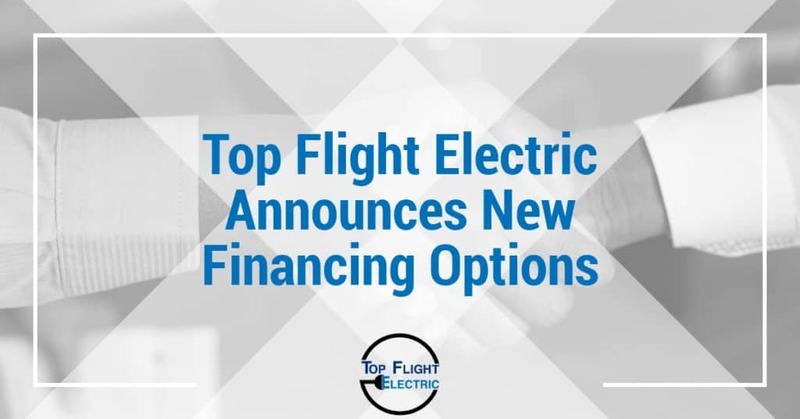 An unplanned visit by a licensed electrician is something most of us do not plan for in our household budget, which is why Top Flight Electric is proud to roll out our new financing options. Even if you are contacting a licensed electrician to perform some planned work, it’s comforting to know that there are financing options available. You cannot go wrong with these great rates. Now is the time to consider having a licensed electrician install outdoor lighting so you can entertain on your patio this summer. Or, how about saving money on your electric bills by converting your lighting to LED? Top Flight Electric makes all of this and more possible without you having to wait on your tax return or take money out of your savings. Best of all, you can count on Top Flight’s up front and honest pricing. Our licensed electrician will provide you with a quote before the work begins so there is no guess work or surprise charges. Are you looking for a reputable, qualified Lakeland, Eagle Lake or Winter Haven electrician? If so, Top Flight Electric serves all of Polk County and surrounding areas. When you find yourself hitting the internet to search for “24/7 electricians near me” remember that Top Flight Electric does have 24 hr electricians on staff and ready to respond to your call!